Lovely 2 story home in a wonderful neighborhood of Covina. Pride of ownership. Home features 3 bedrooms and 2 bathrooms a total of 1660 sq ft of living space. Great private backyard with well-maintained pool for those summer nights. Nicely colored pavers throughout the back and front of the house.. Downstairs you have two bedrooms and a full bathroom. Upstairs is a large master suite,with walk-in closet and updated bathroom. 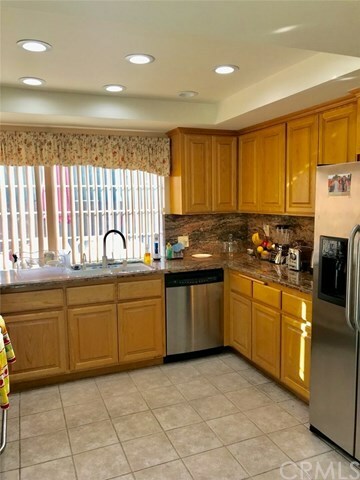 The kitchen offers nice wood cabinets and granite counter tops. The living room has a cozy fireplace. Central air conditioning and forced heat. This home has newer windows and brings in lots of natural lighting. There is also an Attached 2 car garage and RV Parking.